Vinyl Sugar is the illegitimate love child between Funko and some of the best free-wheeling designers from the back streets of London, the boutiques of Harajuku, and the galleries in NYC. Vinyl Sugar - because you crave it! What happens when the twisted minds over at Evil Corp get together with Vinyl Sugar? A mash-up of pop culture with a wicked British bent, the Dorbz! 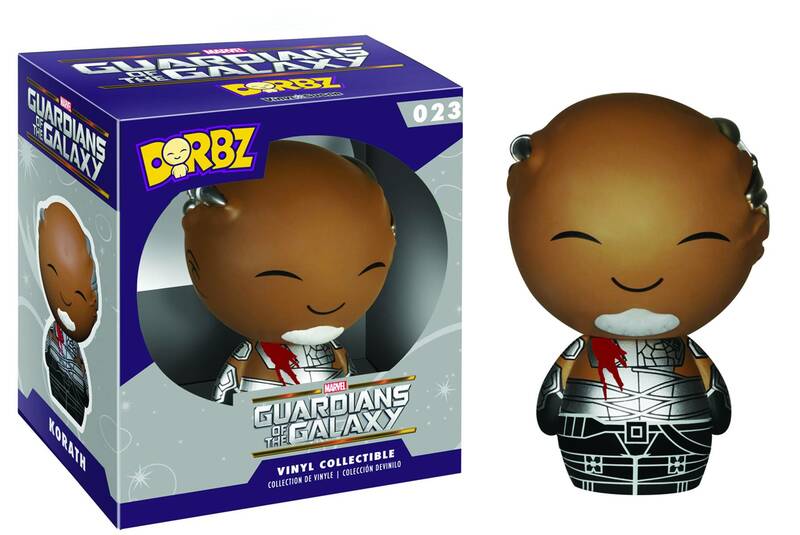 the Guardians of the Galaxy are the first series for Dorbz, and appeal to collectors of all ages! Opting for painted designs over sculpt, these pint-sized rascals will weasel their way into your heart as surely as they'll find their way onto your shelf! 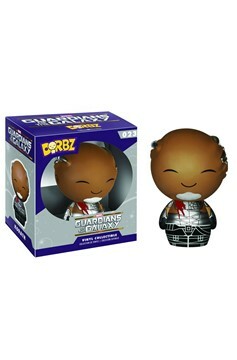 Each high quality vinyl figure stands 3' tall and comes in window-box packaging to fully display each character through front and back box panels! Choose from Drax, Gamora, Groot, Korath, Nebula, Rocket Raccoon, Ronan, Star-Lord, Star-Lord Unmasked, The Collector, or Yondu..